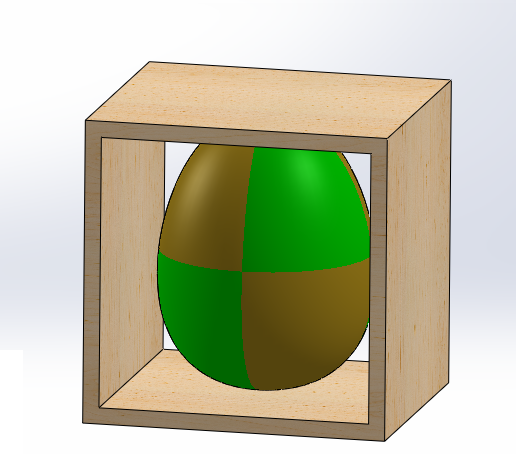 An assembly is created fitting the egg inside the box to show a preview of how the finished display box will look like. 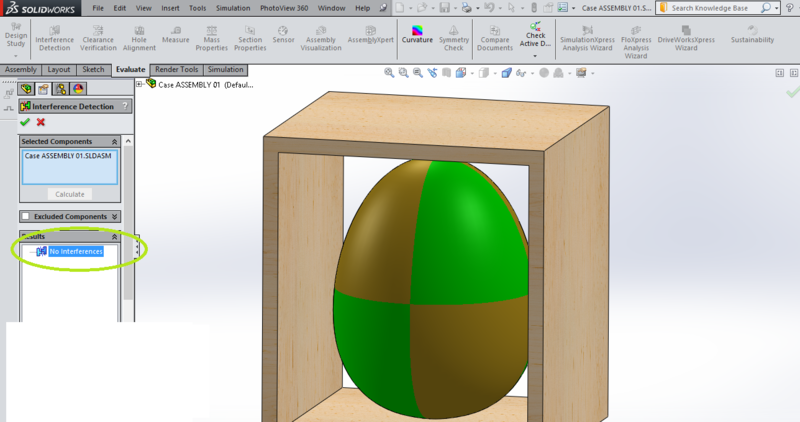 However once an assembly is created, you may use a SOLIDWORKS assembly evaluation tool called Interference Detection to determine whether there is any interference between the egg and the box. i.e. does it fit? 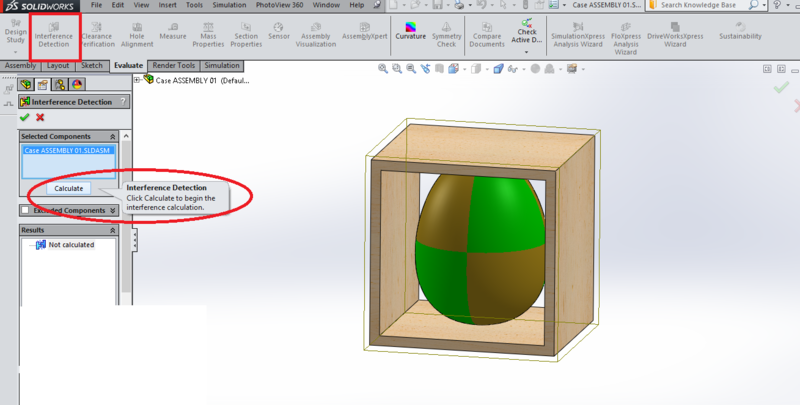 SOLIDWORKS has determined that this assembly has interference and has highlighted it in our model. 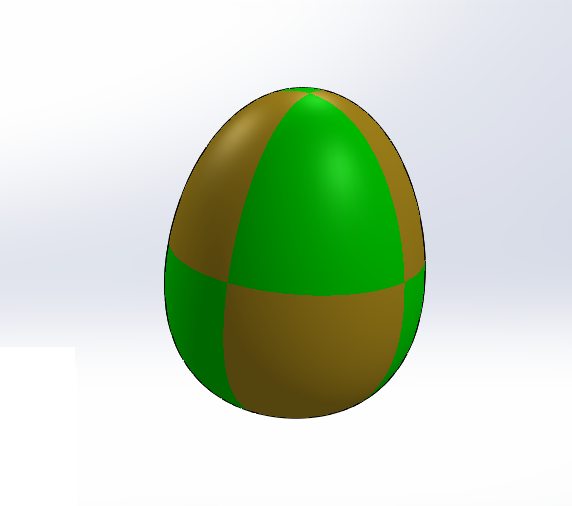 This simple checking tool has highlighted a design flaw allowing us to make modifications in the design phase which has less impact on the product as opposed to after the part has been manufactured, saving us money. 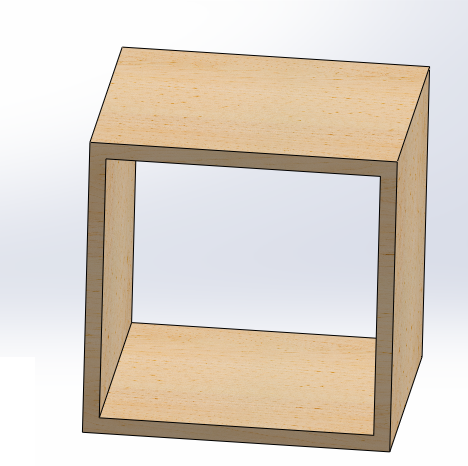 A quick modification of the inside dimension from 100mm to 110mm is applied to our box. Now, we run our second interference check for verification and indeed the box is of correct size. This box will now properly display our prize as intended.